Rupert the Rabbit is a little bit fed up with life in the burrow. He's a bit lonely and when he sees lots of animals having fun on a nearby farm, Rupert wants to join in himself. A rather stern duck points out to Rupert that everyone on the farm has a role to play, and Rupert must find his own special skills in order to fit in - after all, a farm is no place for slackers! Rupert comes up with a plan. Rabbits are experts at misappropriating the farmer's juicy vegetables, so Rupert soon wins the other animals over with his lapine thievery! 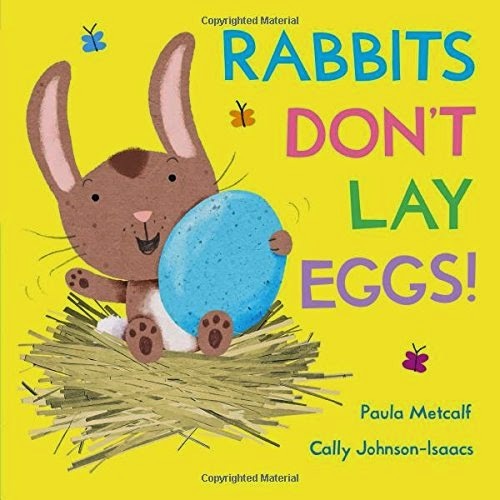 But the question all young children will want to answer is why rabbits don't lay eggs! We'll let you discover what happens in this tale when Rupert tries...! Charlotte's best bit: Rupert's egg laying attempts! 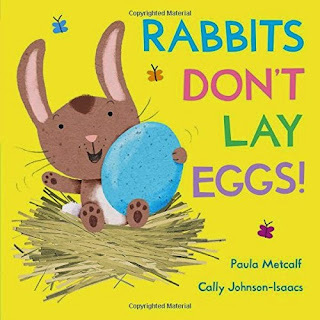 Daddy's Favourite bit: A fab little bunny book for your tiny ones and not an easter egg in sight! I quite like these books that come with cardboard models to play with while you read the story. 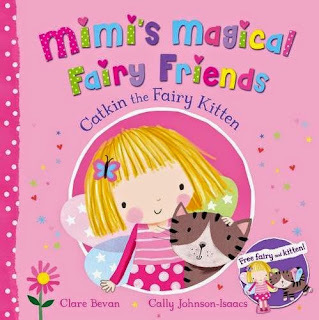 In Mimi's Magical Fairy Friends: Catkin the Fairy Kitten we meet Mimi who is on a magical quest with her teacher Miss Flap (!) and her classmates at Fairy School to paint a rainbow in the spring sky. There's only one problem. All the magical paintbrushes have gone missing! No Red, Yellow, Pink, Green - no orange, or purple or blue! Thankfully Mimi has one more helper who joins in - her magical fairy kitten Catkin who is an expert at searching out hidden objects. Children will love this tale as Catkin tracks down the missing paintbrushes one by one, until everyone can join in painting a rainbow. The book comes with fold-out cardboard models of Mimi and her Kitten so your tiddlers can join in acting out the story as you read! What an excellent idea! "Mimi's Magical Fairy Friends: Catkin the Fairy Kitten" is out now from Macmillan Children's Books. Perfect for the springtime weather! Take one look at the wild and chaotic cover of this book and you can't help but be drawn to "Red, Yellow, Blue (And a Dash of White Too)" by awesome Tweeter and all-round art superhero Charles George Esperanza. We start off by meeting an awesome little girl who is dabbling with her paints and paintbrush. 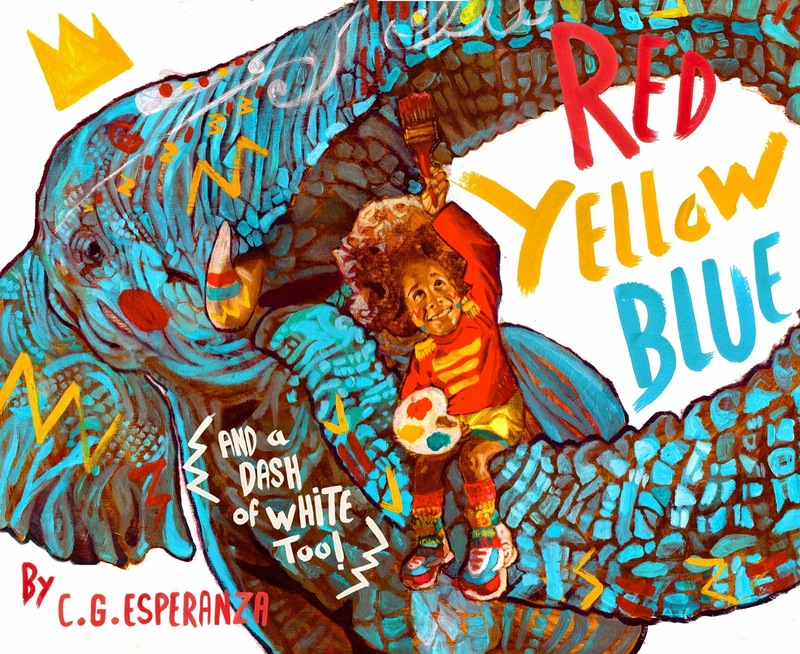 A dash of red looks great, a big blue elephant (decorated with red and yellow stripes) is even better - but what happens when you start mixing those colours together? We just LOVE the little girl's expressions in this story. She's just so HAPPY! Love her! We'll let you discover that one for yourselves. What a truly wonderful, colourful and celebratory book! Charlotte's best bit: An awesome orange slam-dunk from a big bouncing basketball! Daddy's Favourite bit: A joyous riotous celebration of colour and the wondrous vivid imagination of a child. Absolutely brilliant stuff Charles! Super-talented top illustrative guy Steven Lenton very kindly got in touch with us to ask if we'd like to take a look at his latest book. "WOULD WE!" we shouted with glee. You see we happen to know that not only is Steven a supremely talented chap, but he's also the type of guy who's not going to settle for just any wishy washy tale of princesses and dragons, oh no. Step forward the wonderful hero of "The Princess and the Dragon and the Nincompoop Knights", written and illustrated by Steven. Princess Daisy is definitely not content to be a stay-at-home Princess despite the King's wishes. So when mysterious rumblings and growlings disturb the good townsfolk, who come to the king for help, Princess Daisy wants to join the quest to discover the source of all that kerfuffle. A mysterious figure steps forward, clad in a haphazard collection of armour and riding a cow (of all things!) The stranger steps bravely into the cave armed with a rather strange array of weapons. A story book? A baby's bottle full of milk? What craziness is this? 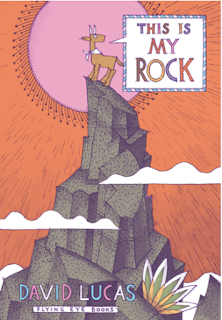 Steven's story rhymes beautifully, is wholly entertaining from start to finish, and sends out the sort of awesome mighty girl messages that we just love to see in children's books. His illustrations are (as ever) utterly brilliant. 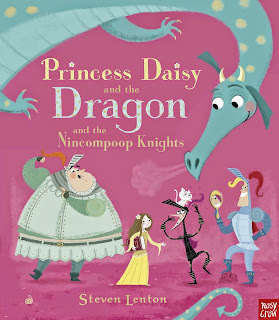 We loved the depiction of Princess Daisy, she's adorable - and we even loved those nincompoop knights but the gorgeous baby dragon steals the show - particularly loved the fact that Steven drew a doodle of her (and Charlotte insisted it was a she!) in the front too! 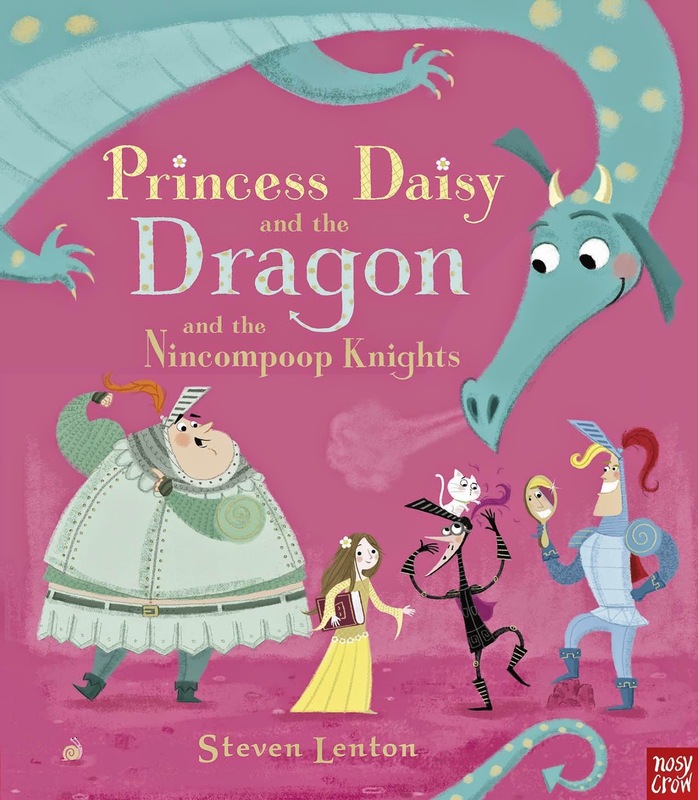 If your little ones want a refreshing change from the usual "brave knight rescuing hapless damsel while biffing dragon" stories of yore, then "Princess Daisy and the Dragon and the Nincompoop Knights" will delight them for sure! Charlotte's best bit: Sheer outrage at the use of kittens as dragon bait in the brainy knight's trap! How very DARE he! Daddy's Favourite bit: Pitch-perfect rhyming, glorious illustrations and a novel and neat twist cutting a dash through tired old fairytale tropes to deliver a stunner of a story! We likey! Chapter Book Roundup - March 2015 with Claude, Matilda and Kittens! Welcome to our March edition rounding up some of the amazing and awesome chapter books and early chapter readers we've been casting our eyes across over the last few weeks. 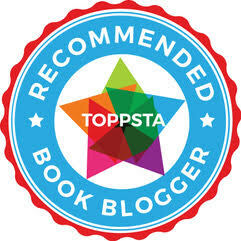 And we're starting off with a long-time blog favourite penned by an awesome booktastic chap! 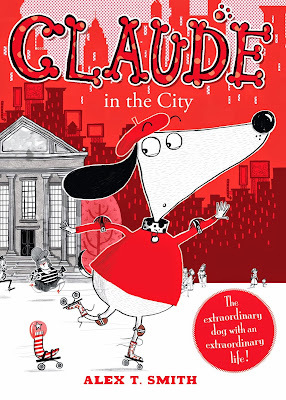 Alex T. Smith's "Claude" series has been a favourite of Charlotte's for quite some time now and she constantly talks about the time she met Alex and got her copy of "Claude in the Spotlight" signed. We've been catching up with the series courtesy of Hodder and join Claude on Holiday and Claude in the City in two further adventures, accompanied by his Tardis-like beret and his ever-faithful and dapper companion Sir Bobblysock. In "Claude on Holiday" Claude and Sir Bobblysock are off for some desperately needed R & R to a lovely seaside resort. Strictly no adventures and no crazy antics, just sun, sea and sandcastles! Of course things don't always go according to plan for Claude and Sir! Excitement and adventure are never far behind, and as Claude settles in for a well earned rest, nefarious ne'er do well pirates seem set to scupper their hols! EGAD! 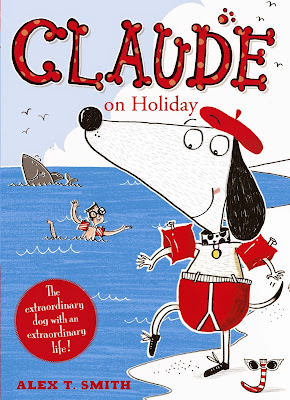 Claude may be a little dog, slightly on the plump side, but he's a brave soul and so dive in to find out whether sharp-witted Claude and Sir Bobblysock can outwit those dimwit salty coves! Yo ho! "Claude in the City" returns Claude to slightly more cosmopolitan climes as Mr and Mrs Shinyshoes disappear to work for the day as usual, leaving Claude and Sir Bobblysock to plan their next grand adventure. Claude rather fancies hitting the town in fine style, visiting the sights, stopping by a cafe for a much needed sticky bun and a cup of Earl Grey but as seasoned Claude fans will know, excitement and adventure are usually around the next corner. There's a terrible robbery in progress and Claude ends up hopelessly mixed up in the caper! Smart doggies like Claude aren't foiled by gruff robbers though so it's time to swing into action! It's easy to see why Charlotte loves these stories so. Alex has a keen wit (anyone who has ever followed him on Twitter can't help to hoot with laughter at his commentaries on popular TV shows as they air, particularly Downton Abbey! ), his illustrations are utterly brilliant and the Claude stories achieve the perfect balance between picture book fun and chapter book depth. We love them to bits!! Who could possibly follow an act as classy as Claude? Only one of the world's most best loved children's books. Matilda has been around since I was a wee whippersnapper but now Charlotte is getting her teeth into more wordy fare as she reads to herself at bedtime, she's ready to jump headfirst into the amazing book worlds of Roald Dahl. What better place to start than with the story of Matilda, a little girl with a huge intellect and a deep love of books. Matilda's family don't share her enthusiasm for literature (in fact her parents are downright boorish). Despite this, Matilda finds her way to her local library and falls in love with all the books she finds there, rapidly working her way through the children's section before discovering the delights of The Secret Garden and Charles Dickens! Matilda's rotten parents eventually send her off to school, and she meets the wonderful Miss Honey - a big hearted teacher who realises Matilda's potential, and also shares her love of books. Unfortunately the school's headmistress is one of the most terrifying characters ever created in children's literature. The huge, the hulking, the temperamental Miss Trunchbull - Ex-Olympic shot-putter and all round big fat horrendous bully. Can Matilda's sharp intellect and quick wits help solve a mystery from Miss Honey's past? Will Matilda ever be free of her annoying parents and brother? You'll have to read on and find out. 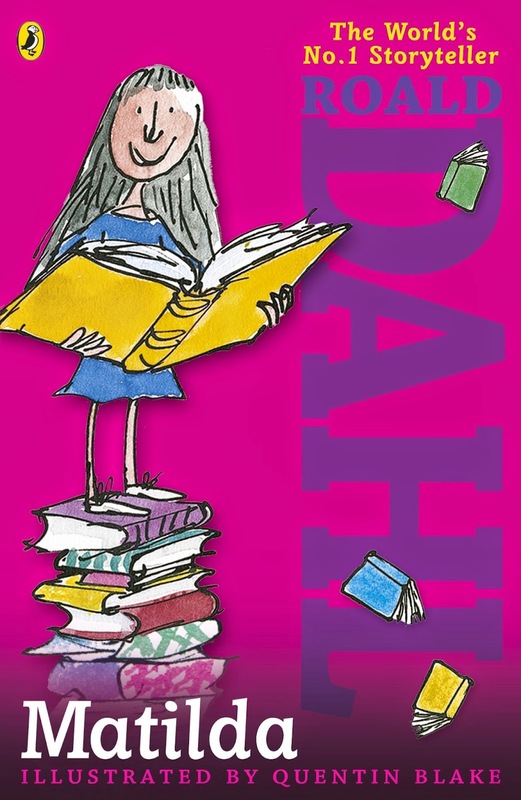 It was quite something to see three girls in Charlotte's cloakroom at school drop-off all reading their own copy of Matilda the other day, testament to just how brilliant Dahl's books are and this book in particular! What a great place to start a life-long love affair with Mr Dahl's fantastic work! One more before we go? Oh there's always room for one more....! You'll have to wait a couple of weeks till you can enjoy "The Secret Kitten" by Holly Webb, but this is the amazing 30th book (30 BOOKS! 30!) in her wonderful animal stories series. Centred around a young girl named Lucy who goes to live with her Gran, it's a touching tale of a lonely little girl who finds solace in an unexpected friend. Gran doesn't like animals but Lucy can't help but fall in love with an adorable stray kitten she rescues and begins to look after in secret. Will Lucy's annoying brother find out? What will Gran say! Holly Webb's animal stories are perfect for Charlotte's age group (and like Matilda, we've seen lots of kids toting books from the animal stories series at drop off and pickup times at home). Charlotte read through the story fairly quickly and gave it a huge thumbs up, wanting to track down more of Holly's astonishing collection so we'll be looking out for them very soon! 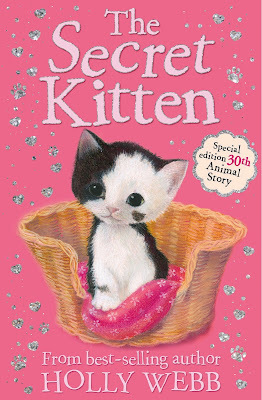 "The Secret Kitten" is out on 6th April 2015 from Stripes (Little Tiger) and you can find out more about Holly's brilliant books on the Little Tiger / Stripes Website. That's a wrap, tune in next month for more chapter book goodies in April's roundup! Putting a new spin on classic fairy tales isn't easy, and a lot of people give them a bit of a dust and polish without bringing anything new to the table. You definitely cannot say that about Teresa Heapy and Sue Heap's "Very Little" series, and this is the second book that has had us simultaneously guffawing like goons and hugging ourselves with glee at just how durned great it is. 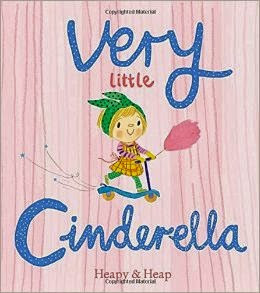 "Very Little Cinderella" starts off with tiddler Cinders 'cleaning up the house' (which, as any parent of a toddler will tell you, means making ten times more mess than they created in the first place). Very Little Cinderella's very big (but not very ugly) Ugly Sisters aren't too impressed with the cleaning attempts, but as VLC snaffles a snack biscuit they have more news. "We are going to a party!" they proclaim. Very Little Cinderella is determined that she wants to sneak off to the party instead of helping clean up the house, so with a little magic and the world's greatest selection of dresses ("This is my best bit!" said Charlotte, falling instantly in love with the Pearly Dress), the plan is afoot. Gatecrash the party but be back home before the clock strikes 12 and the magic runs out. After a weeny tantrum about what to wear (this is a bit where I laughed, then realised I was laughing about something Charlotte drives us both mad with EVERY TIME WE HAVE TO GO ANYWHERE!) and a quick change of transport (who needs a pumpkin coach when you've got a big blue scooter, yay!) it's off to the party to do dancing and making friends. As the clock strikes 12 and the Fairy Godmother scoops up Very Little Cinderella to head for home, VLC realises she's lost her very favourite yellow (sorry, I mean LELLO!) boot. She's inconsolable. No amount of biccies or boots will brighten Cinders' glumness. But wait, who's that at the door? A very little Prince (and his mum) with the missing boot! HOORAY HOORAY HOORAY! After a bit of a bootswap (again this is so brilliantly observer, why do kids always want to swap shoes?) and a play date, Very Little Cinderella and Very Little Prince Charming become firm friends, dawwww bless their little lello and spotted boots! Charlotte's best bit: The choosing of the special party dress. I thought the 'neat' dress was ace, but Charlotte couldn't resist the shiny dress. Daddy's Favourite bit: Brilliantly funny, acutely well observed, fantastically illustrated, a super-treat from Heapy and Heap! Hooray, it's a new royal baby! Martha Mumford and Ada Grey are back with their third book about Royal Offspring. We've previously enjoyed "Shhh! 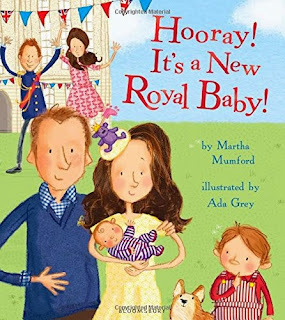 Don't wake the Royal Baby" and "Happy Birthday Royal Baby" and though the cynical amongst you might smell a cash in rolled out ahead of the birth of Prince George's Brother or Sister, there's actually quite a lovely touching tale about siblings in this book. Everyone seems to love the new arrival, but Prince George isn't quite convinced. What if the new baby wants to play with his favourite dinosaur, or steal his favourite jam sandwiches? What if everyone loves the new baby more than him? Daddy (Prince William) knows just how to smooth the troubled waters with a new gift for George from his new Brother/Sister but soon George realises that it's actually tons of fun having a new little friend to play pirates or spaceships with. A lovely addition to a story range that we were initially going to be quite sniffy about but were completely won over by. Charming and super-cute stuff from Martha and Ada! We've just come back from a whirlwind visit around Windsor Castle and it was great to see that these books obviously have royal approval, as we spotted them in the gift shop there! Charlotte's best bit: Charlotte always loves the incidental antics that the royal corgis get up to in these books! Little scamps! Daddy's Favourite bit: A wry grin about Prince William discussing baby number 3 with a glint in his eye! Oh well I never, how we do love this book! Paying homage to T.S. Eliot's meisterwork "Old Possum's Book of Practical Cats", Arthur Robins produces a marvellous moggy-filled book celebrating what we cat lovers already know - that cats are feline tricksters, capable of the most amazing feats of derring-do! 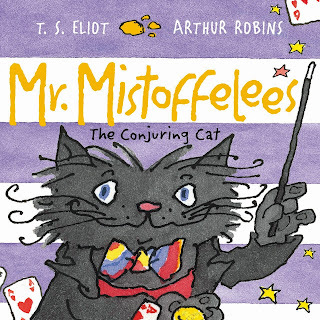 We've previously met "Macavity the Mystery Cat" from Faber and Faber and here's the second book in their series drawing on T.S. Eliot's awesome poems and presenting them for a whole new audience. 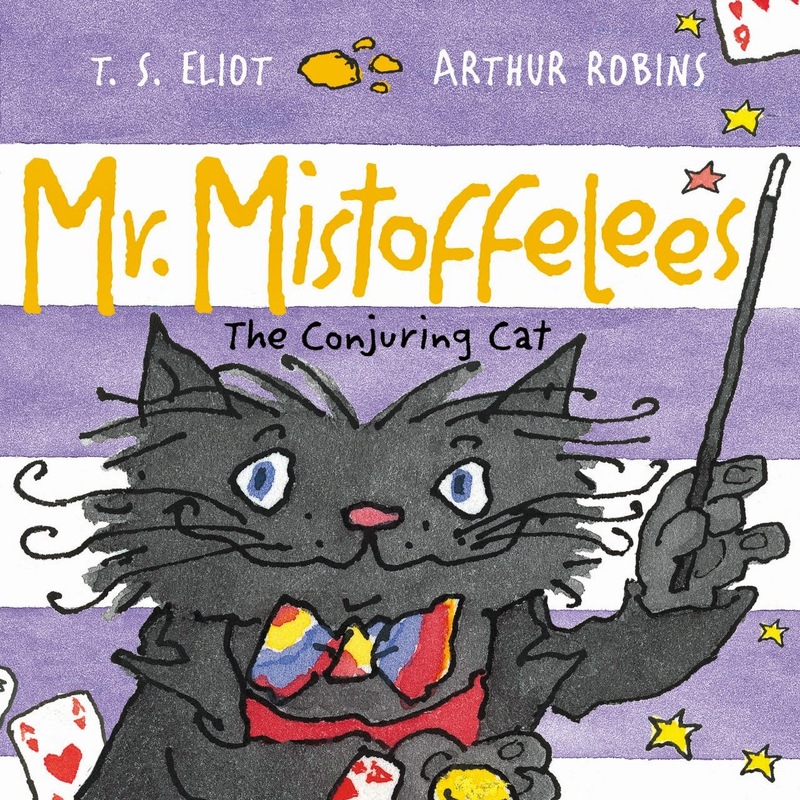 As much as we loved Macavity, "Mister Mistoffelees" is definitely our favourite as he uses his own peculiar forms of moggy magic to slink from the shadows, making food items disappear, or sliding his way through seemingly impenetrable doors moving effortlessly amongst humans mostly unseen. This is a lyrical journey through poems that some children may already know from the musical "Cats" but will definitely appreciate here, reproduced in a truly fabulous way. Daddy's Favourite bit: A classic poem brought bang up to date for a whole new appreciative audience. Immensely good fun to read out loud, has there ever been a book so clever? This is a quirky little book from Heinz Janisch and Wolf (The Little Mole who knew it was none of his business) Erlbruch. "The King and the Sea" is part moral tale, part fable wrapped up in Wolf's unique art style. A king muses on his life, his world and indeed his universe as he passes each day in his kingly splendour, wondering which part of his kingdom to visit. With each interaction with his world, the king learns a new and vital piece of knowledge tucked away for when he may need it. He speaks to the sun, the waves, and even tiny creatures - but always believing that a king is superior to all. Is he right though? Daddy's Favourite bit: Quirky, original, definitely something different for your regal little ones! If you love science, and you can't resist finding out how things work, then allow us to pique your curiosity with this amazing book. What is light? Where does it come from? How is it made? 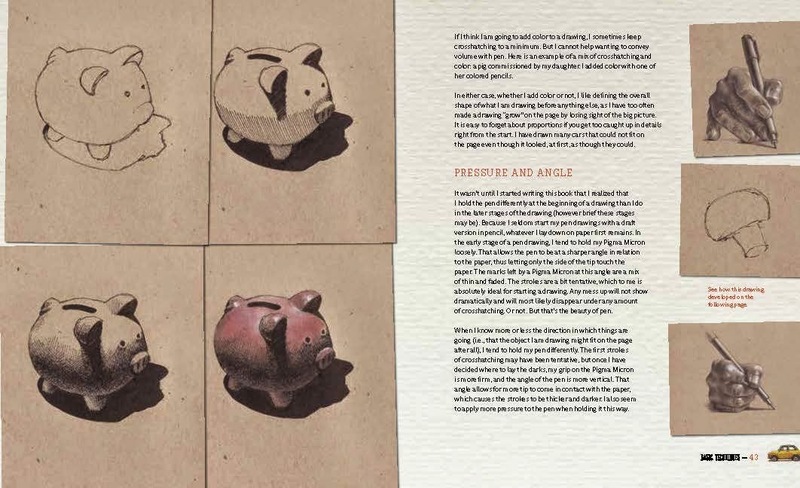 As you can see from the gorgeous page spreads, "How Things Work" shows how the most ordinary everyday things we take for granted are actually more extraordinary and amazing than we might think. 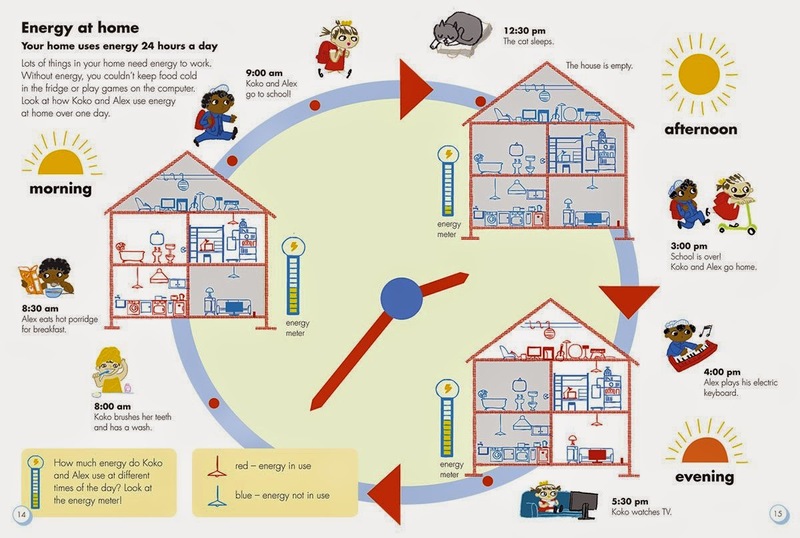 Saving energy at home, vitally important! Join a busy little team of inquisitive folk as we find out how to be more energy efficient at home, how machines work, where light comes from and a ton of other questions presented in a fun filled and child friendly way. This will get your cogs spinning! 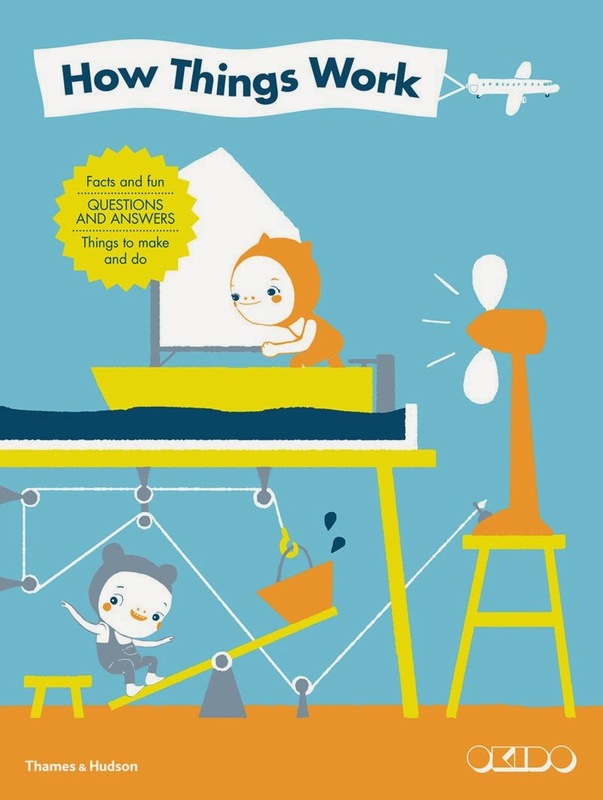 There are fun games and puzzles too, so if you're looking for a book to keep your little ones busy over the coming Easter Break, look no further than this utterly fantastic and fascinating corker! Charlotte's best bit: Tracing the cables and pipes that feed our houses with heat and water, electricity and TV! 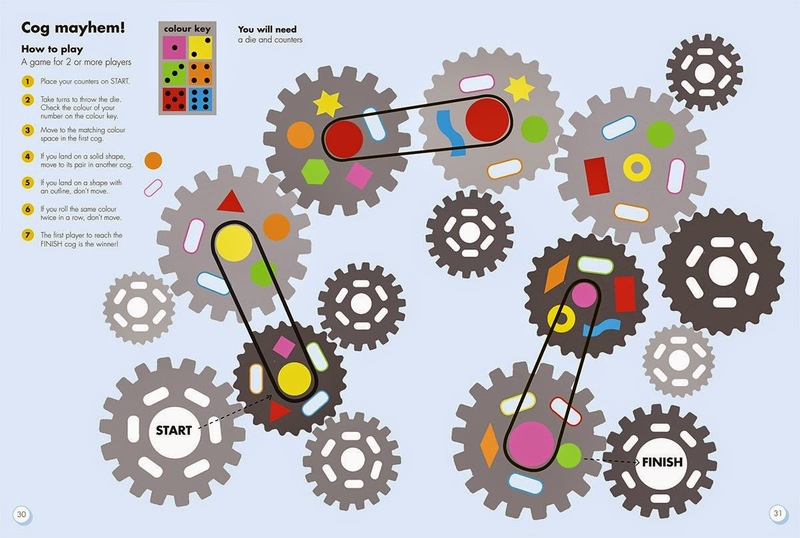 Daddy's Favourite bit: Like everything the Okido team turn their hands to, this is an absolutely brilliant little resource tailor made for curious kids! Brilliant! "Manners Maketh the Man" or so the saying goes. Actually good manners, and a bit of politeness go a long way with anyone regardless of who you are - and no one likes being taken for granted, do they? This is the simple premise of a hugely effective story from Niki and Jude Daly. "Thank You, Jackson" introduces us to a hard working farmer, his wife Beauty and their son Goodwill. Not forgetting their hard working donkey Jackson, who helps the farmer to market with his heavy load of vegetables every day. But today isn't like any other day. You see, Jackson has had about enough of hauling the farmer's wares up a steep hill without so much as a polite word of praise. Jackson stubbornly stands still and refuses to move. The farmer's solution is not a pleasant one, he threatens Jackson and eventually goes looking for a stick to give his poor donkey a wallop with. Thankfully Goodwill and Beauty spot what's going on, and race to help. Goodwill knows how to save the situation, and with a gentle whisper in Jackson's ear, he saves the day. So what do you think Goodwill whispers in Jackson's ear? Such a valuable lesson delivered in a really neat way, making this feel like a traditional tale woven anew. Very cool! Charlotte's best bit: When Jackson sits down, spilling all the vegetables all over the floor! Eeps! 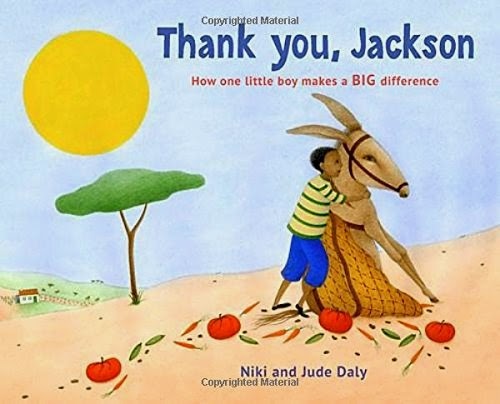 Daddy's Favourite bit: There's a lesson here for all of us in "Thank You, Jackson" - Don't be quick to lose your temper and always remember a bit of praise goes a very very long way from time to time! I've been a fan of Edward Ardizzone's peerless ink work since I was a tiny tiddler. Edward's illustrations for Clive King's "Stig of the Dump" are among my earliest memories of what made me fall completely in love with books. Clive's descriptions were rich and imaginative, but having Edward's illustrations to fill in the gaps was a real boost. It's still one of my favourite stories today and one I can't wait to pass on to Charlotte now she's old enough to appreciate longer stories. We're looking at Edward's own story series here though, and the Little Tim books - which have been polished to a high sheen and reprinted by Frances Lincoln Children's Books. Though I'm not quite old and codgerly enough to remember these first time round (the first Little Tim stories were published way back in 1936! ), Frances Lincoln are reprinting the "Little Tim" series as a set of gorgeous hardback books, retaining the original pacing and illustrations - and offering you richly luxurious audio versions read by Stephen Fry (a man whose voice I could happily listen to for hours) as well. What a superb bonus! Though Edward died in 1979, and some might feel that these stories are a bit dated, they have an electrifying effect on Charlotte. She clamours loudly for them whenever we settle down for a read and a cuddle, perhaps it's the exciting life this little chap leads in his life beside the sea. We've been enjoying the reprints of "Tim All Alone", "Tim and the Brave Sea Captain", "Tim to the Rescue" and "Tim's Friend Towser" - Each story opens with Tim longing for a life on the ocean wave but finding that a seafaring life is often fraught with danger. We also love Edward's gift with expressions and the way that, in one particular adventure where Tim and Ginger are sneaking their food on board ship to a lost puppy, both Tim and Ginger grow increasingly skeletal as they virtually starve themselves to feed Towser! Eek! We've read these books through several times, often in one glorious gulp as they're quite long but immensely satisfying. We really hope to see more reprints of Edward Ardizzone's stories from Frances Lincoln as they're superbly exciting adventures, with utterly gorgeous ink and wash illustrations that almost leap off the page. Ultimately though, you are in for a good solid treat with these stories, harking back to a time when life was so much simpler, and the life of a young boy (or girl for that matter) could be a life packed with excitement, adventure and derring-do! 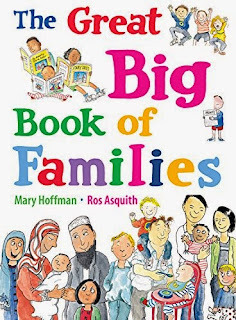 We adore books that celebrate the diversity and rich mix of people who populate our humble little planet, and what better place to start a joyous exploration of that diversity than with families themselves. In the Frances Lincoln "Great Big Book" series we've already looked at the fantastic "Great Big Green Book" that tackles the ecological issues facing our planet, but in "The Great Big Book of Families" both Mary Hoffman and Ros Asquith put people firmly under the microscope, producing a vibrant and colourful book taking a look at our society from all angles. Whether you're part of a large family, or just one or two. Whether you've got a mummy and daddy, or two mums, two dads - or live with aunties, uncles or grandparents, adopted or fostered, there's a lovely little corner of this book devoted to you and yours. Children just love exploring this book as there are so many tiny little details crammed in, all depicted with Ros's trademark cheeky and humorous illustrations but imparting the importance of family life. 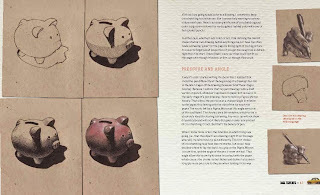 The book doesn't shy away from subjects that children will inevitably find tricky and challenging at a young age (like what happens when a family unit breaks apart for any number of reasons). Ultimately though, the message is shouted loud and clear, that people are spectacular and special, and families come in all shapes and sizes, colours and creeds. Daddy's Favourite bit: A nice big hardbacked book that is a huge celebration of how diverse and amazing modern families are. A fun exploration of our world and the people who live in it that's bang up to date in attitude and scope. France Belleville Van Stone's "Sketch" dropped through our letterbox courtesy of Watson Guptil and it's been an inspirational breath of fresh air. It's not written in some sniffy "I know better than yow" arty farty way, but speaks to us in a language we understand, and brims with enthusiasm from every single page spread. 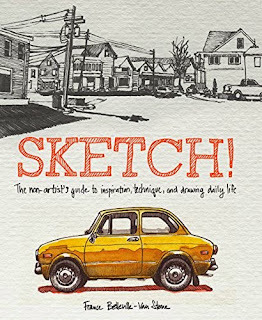 The aim here is to show how easy it is to improve your sketching skills. Though colour is touched on here, the ultimate aim is to turn you into a sketching powerhouse by offering up some really simple advice and a whole plethora of idea triggers to get you sketching anything and everything from the world around you. France is a very enthusiastic teacher through this book, and takes great pains to underline the most valuable lesson any artistic person must adopt from day one - the more you do, the better you will get. For my part I always carry a sketchbook and pencils around with me in my work bag (I seem to be able to do some of my best work while sitting in the car waiting for my daughter to be dropped off at school or waiting for my wife to finish work - such is the life of a family 'taxi driver') but you never know when you'll feel the need to sit down, zone out and have a good scribble (it's amazingly therapeutic and it's as close as I can get to zen moments in a hectic modern life). I think one of my favourite aspects of the book is how down-to-earth and unpretentious France is. She obviously knows that the quickest way to put someone off dipping a toe into artistic waters is to go off on a huge rant about purchasing the highest quality materials, tuning your work environment or spending hours reading tons and tons of art books and I tend to agree - particularly on that first point because any family on a budget will always shy away from spending tens or hundreds of pounds on art materials that will inevitably go to waste! 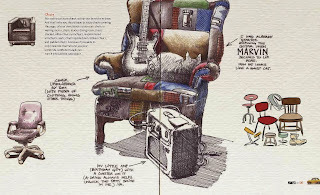 Her choice of subjects is broad and it got me thinking about spending more time sketching my messy room, or my feet, or parked cars around the neighbourhood, or any subject that may seem ordinary and everyday until you start drawing it. Her manner is so relaxing yet passionate, and this book really has been utterly fantastic to leaf through for ideas. Awesome stuff, France!! Sadly, for a lot of children, having a parent who has to travel for work and is often away from home is the norm rather than the exception. This gorgeous little rhyming tale from Marjorie Blain Parker, with lovely illustrations from Jed Henry shows that even though our family, our friends and even sometimes a parent, are far away from home we still love them all the more. Marjorie shows how the modern world allows us all sorts of ways of communicating with, and remembering our distant relatives - and there's a beautiful little celebratory spread at the end of the book as those long lost relatives (and daddy cat) come back to visit the inquisitive and loving little fellah who is the central character here. 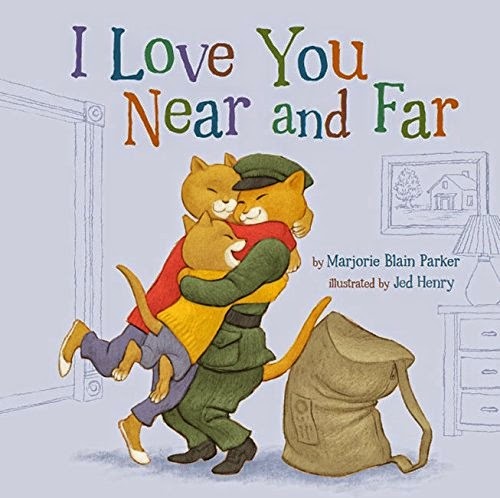 The rhymes are perfect, meaning that this is one of those cuddly little books that will delight younger readers - and perhaps offer some comfort if mummy or daddy, or grandma and grandad, are miles away in distance but still very close to their hearts. Daddy's Favourite bit: A wonderful sing-song read that we definitely want to keep close! Introducing children to green issues from an early age couldn't be simpler, and what more vital reason is there for doing so than thinking about the planet they'll inherit from us. Diving into "The Great Big Green Book" by Mary Hoffman and Ros Asquith, this is exactly the sort of resource that would be equally useful at home and in the classroom as this bumper collection of fascinating facts, interesting projects and makes. Do you know what happens to your recycling, or in fact why recycling is so important? What simple steps can you take in your everyday life to help your family become 'greener'? The book is packed to the gills with brilliant illustrations and common sense tips that can turn your budding ecologists into green supremos! Love it! Charlotte's best bit: Learning about all the interesting things that come from trees (like the tyres on a wheelchair and corks for bottles), even material for T shirts! 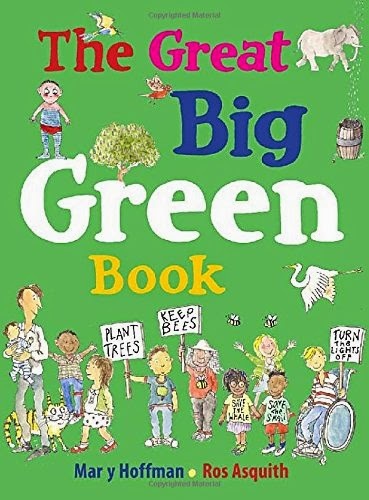 Daddy's Favourite bit: A totally engrossing and fun way to learn about green issues for younger children just taking their first footsteps towards becoming true eco-tots! "This is my rock. This is where I attend my flock!" I have no idea why I kept humming that Faithless tune while reading this with Charlotte. Thankfully she's well and truly used to my odd behaviour so just gave me that world-weary 7 year old withering look and told me to get on with the story. Life atop the rock is fine for a while, but soon gets lonely. Perhaps the mean old goat needs to change his ways, because a view is not a view unless you have someone to share it with. As with most of David Lucas' stories, there's a rather lovely little twist that comes in at the end of this book when the goat realises that you can defend your lofty habitat with all the will in the world but sometimes it takes someone smaller and cleverer than you to humble you into submission! British Science Week beings today - what better way to join in than with a crop of fantastic books! It's British Science Week, and from today until the 22nd March we're all abuzz with all things science-ey. Of course, as book bloggers we couldn't wait to check out some of the fantastic science titles for children that are currently available including a trio of fantastic books from our go-to publisher of choice for fact-packed fun ways to learn, Usborne Publishing. Our first title particularly interested Charlotte as she loves lift-the-flap books - but the subject of this particular book is very close to home for us. Charlotte's mum has broad spectrum Epilepsy, so a book that delves deep into the way our brain works really can help answer a multitude of questions Charlotte has about the various things poor mum has to go through. 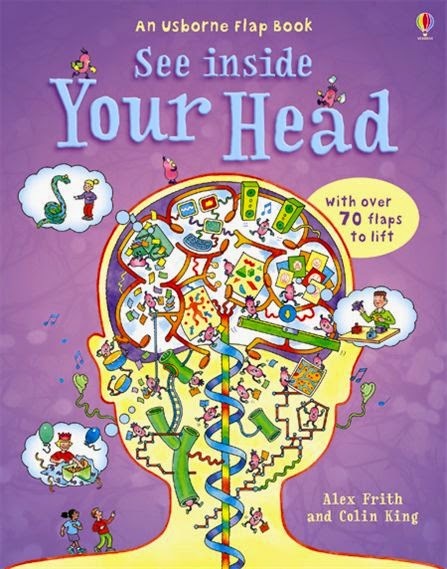 With over 70 flaps to lift, you can really peel back the layers of the brain and find out what it's made of, why it works the way it does, and what can happen when things go wrong. The book touches on the physiology of the brain, and psychological matters affecting the way we behave and perceive our world. It's an utterly incredible book, fantastically illustrated (as you'd expect from Usborne) and with quite a broad appeal to a wide age range, a book that will be a valuable resource for your budding biologists to dip into. 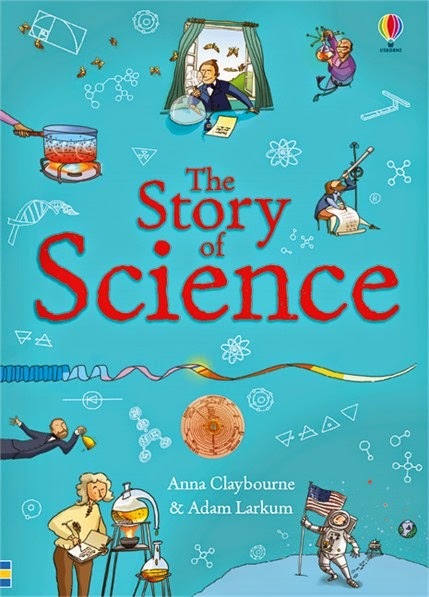 Broadening our range a little next, we take a dip into "The Story of Science" by Anna Claybourne and Adam Larkum. Mix history and science together in this fascinating look back at some of the groundbreaking discoveries made over the last few centuries, as you and your children learn how the world's most famous scientists theorised, experimented and discovered the secrets of our world and the universe beyond. Tinged with humour, and crazy anecdotes, this is nevertheless a fact-filled book chock full of detail and will undoubtedly give your child plenty to investigate and enjoy. 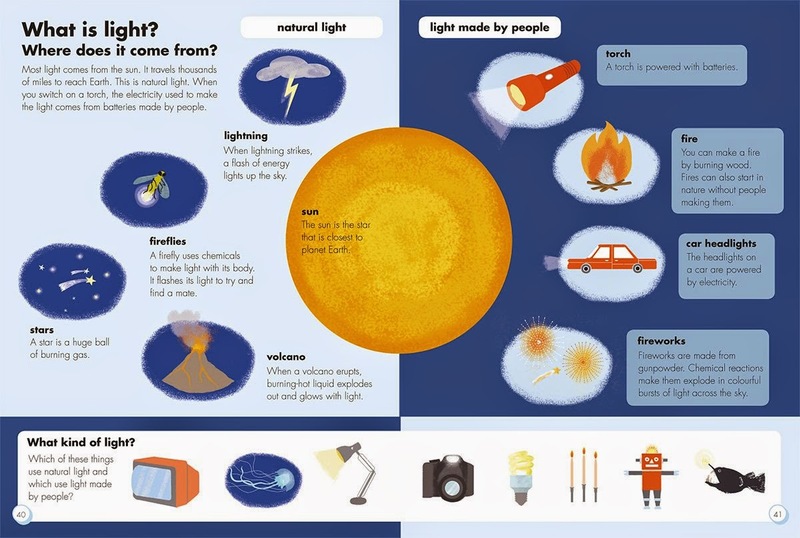 Like the rest of Usborne's non-fiction range, it's expertly presented and pitched at just the right level for children of Charlotte's age who are just beginning to touch on science subjects at KS-1 / 2, and beyond. With the clear skies we've been getting lately, and our recent trip to the Greenwich Observatory and Planetarium still fresh in our minds, it was great to read through this book, identifying some of the things we'd recently seen. Astronomy charts help you and your children map the night skies, and if you're lucky enough to live somewhere where the light pollution isn't too bad, you can get a lot out of staring up at the night sky. 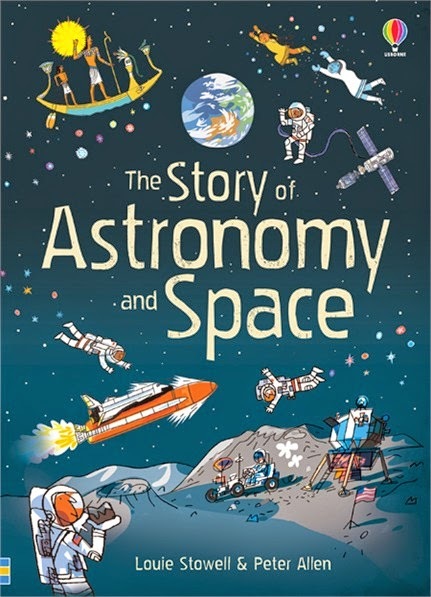 A fantastic book, you can tell Louie and Peter have a lot of passion for the subject at hand - and it's passed on perfectly in this wonderfully presented and beautifully illustrated addition to Usborne's superb science range. We'll be catching up with more Science books as British Science Week continues - so stay tuned! As we've said many times, books sometimes arrive for review that are so well timed and so relevant to what's going on in Charlotte's life, that we almost believe book fairies exist and they're watching our every move. Conquering shyness is a subject that many children's books approach in a variety of different ways but seldom have we seen a book that so brilliantly describes that actual feeling you get in your stomach, that sort of odd glowy uncomfortable feeling that ties you up in knots, makes you anxious and stops you from doing the things you want to do. I'm painfully shy, and I fear that a little of that has rubbed off on Charlotte as she's very shy too. Charlotte's shyness extends to anxiety issues at school drop-off time, or if we go to any events - even at play clubs during school holidays and it's quite horrible to see her made so miserable by her shyness and introversion. 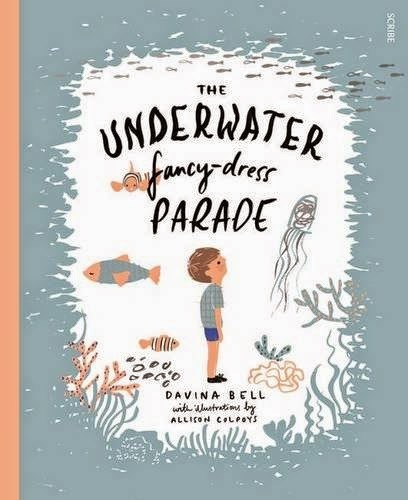 In "The Underwater Fancy Dress Parade" a young boy goes through exactly the same feelings Charlotte does before an event, be it a children's birthday party or a school play - or the underwater fancy dress parade. The boy's parents treat him with understanding, never anger (although in the story the boy expects an angry response, his mum is patient and kind). As the Underwater Fancy Dress Parade edges ever closer, the boy starts off upbeat about it, planning his costume and psyching himself up for the event. Alas, when it comes to the night before, the boy can't sleep and eventually ducks out of the parade as his mum drives him to school. 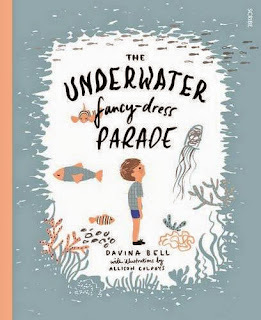 She has an idea - instead of the parade she takes him to an aquarium where they spy a clownfish. At first the fish seems interested in the boy, but soon ducks back into the anemones to hide, just as the boy hides away from the world. The boy recognises the fish's behaviour in himself, and vows to try harder for next year's parade. We sat down and read this book through many times, particularly at the moment where Charlotte once again has attachment issues and won't let us drop her off at school with a smile and a bounce in her step. The book has helped a lot, and we'd recommend it to any parents who are seeing similar things happen with their own children. Daddy's Favourite bit: A very sensitive subject dealt with quite wonderfully here by Davina and Allison. Catching up with the wonderful "Storytime" Magazine - Issue 7 rocks! Storytime Magazine Issue 7 - Out very soon! The lovely folk at Storytime Magazine have been back in touch with us to let us know that Issue 7 is fast approaching. If you haven't caught up with this wonderful magazine yet (and you missed our review of the magazine's first issue) then here's a taste of what you've been missing. Storytime is a magazine chock full of stories (no kidding!) 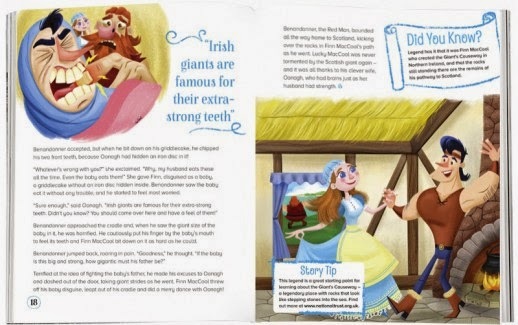 and we love the mix of traditional fairy tales, myths & legends and more contemporary stories too. 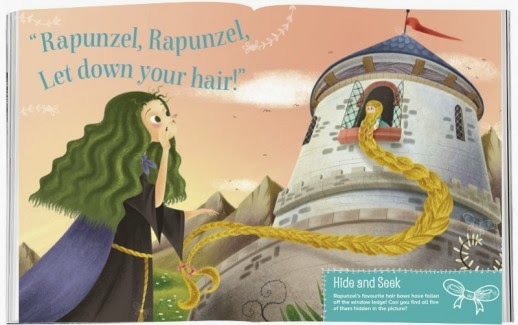 Read the story, and don't forget to find all Rapunzel's hair bows hidden in the picture! Fancy a spot of zaniness? Then "The Three Sillies" will definitely be your cup of tea. 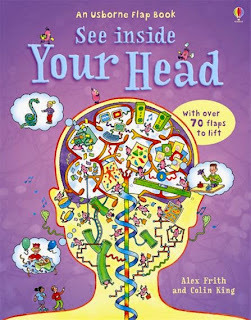 There's still more including puzzles and games to keep your little ones entertained in between those fantastic stories. The monthly magazine is high quality, with artwork to die for - and it's really great to see classic stories presented for a whole new audience by a team who obviously love stories as much as we do. We won't spoil too much for you, but you can get a sneaky preview of Issue 7 on the Storytime Issues Page here. 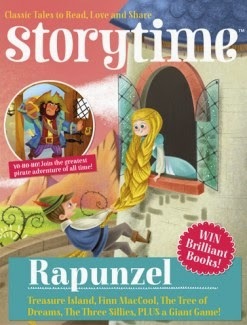 Storytime are currently giving you an amazing chance to try this fantastic magazine for just £1. Drop by the site or click on this link to find out more! Better still, if you'd like to qualify for a free issue, or an optional discount on subscriptions phone 0843 504 4932 and talk to the team to arrange your own free copy! Some of the world's most beloved fairy tales are about to get a new lease of life in a new "My First Fairy Tales" range from Little Tiger Press. Lovingly retold by Mara Alperin, with illustrations by Loretta Schauer and various other extremely talented children's illustrators, the new range is bold, big, colourful and utterly brilliant! We were sent a couple to review, and we started with the classic tale of Rumpelstiltskin. Poor Isabel is downcast, but her plea for help does not go unheard. A strange little fellow in a golden waistcoat appears, promising to help Isabel perform the miraculous deed. His price? Fame and fortune at a later date once Isabel escapes the chop. You will undoubtedly know the rest of the story, given a fantastic treatment here by Mara and Loretta. Does Isabel make good on her promise? Does the avaricious king get his comeuppance? 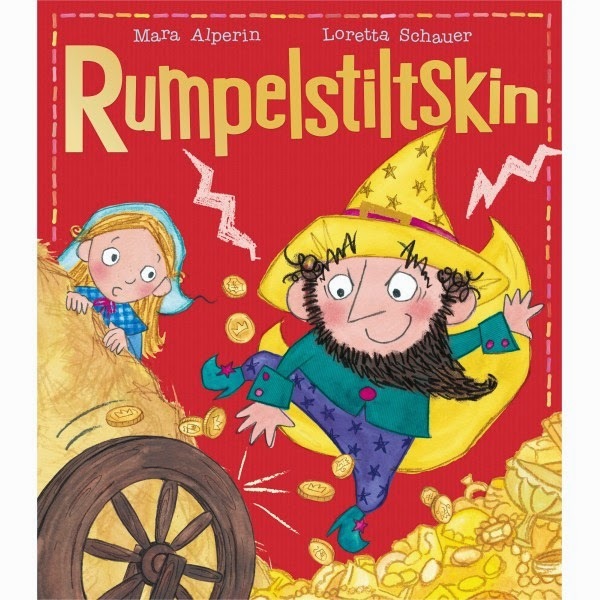 Does Rumpelstiltskin ever realise that he could've just spun himself a fortune in the first place? You will have to read this excellent version yourself to find out. The second title we took a look at, again written by Mara Alperin but with illustrations by Ag Jatkowska this time, is equally as fab. 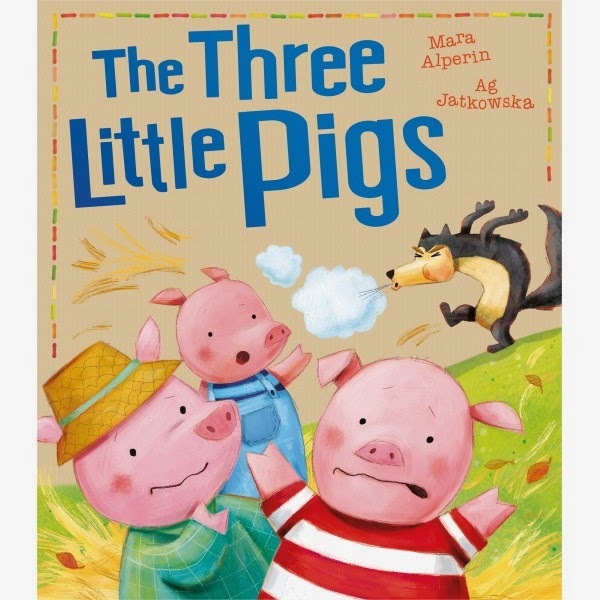 The story of the three little pigs is so universally well known, but again this is a bright bold and colourful version absolutely perfect for bedtime stories with your little ones thanks to the large paperback format, and wonderful illustrations. Three little pigs gather building materials for their own little piggy houses, but a nasty wolf lurks, threatening to huff, puff and blow their houses down. What can happen to a house made of straw, of twigs or of bricks? You know the rest, of course! We (or rather I) did this book a bit of a disservice when we originally reviewed it all the way back in 2012. Scrappy artwork? Not always convincing? What on earth...! So with a timely reprint of this awesome story, it's time to give it another go! Charlotte adores the Emily Brown books, and quite rightly argued with me as vociferously as a 4 year old could when we were originally reading this book back then. Of course, you should always listen to the opinions of your children when it comes to stores - they're invariably right! Emily Brown's second outing is equally as fun and adventurous as the first but this time Emily is run ragged by The Thing, a big fuzzy itchy scratchy wailing crybaby of a monster who seems to have a ton of unreasonable demands to make on her and her righteous bunny companion Stanley. 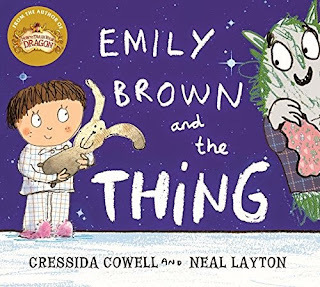 The Thing has lost his cuddly, so it's up to Emily Brown and Stanley to don their funky night-vision goggles, brave wolves and varmints to climb to the top of the spikiest tree to retrieve The Thing's comfort blanket. What works for a tickly throat? Icky green medicine from the whining witches. In each case, Emily Brown dutifully does as The Thing asks, but what is really wrong with the big wibbly crybaby really? He's scared. Of things. In the dark. At this point, had Charlotte been Emily Brown (and I guess that would make me Stanley) I think we'd have taken The Thing out to the dark scary woods, to the top of that spiky scratchy tree, tied him up with his comfort blanket and left him there until morning - possibly to be ravenously consumed by wolves! Naturally Emily Brown is more tolerant and finally gets to the bottom of Thing's problem. Bless her heart! There are two more Emily Brown adventures. One of which we have read, one of which we haven't. I have to admit that we did not take to "Cheer up your Teddy Bear, Emily Brown" as the story's use of repetition begins to grate after you've said the same lines about 4-5 times (bear in mind again though, 2012 = grumpy pills!) However we now feel that we absolutely MUST track down "Emily Brown and the Elephant Emergency" to ensure we're fully up to speed with the adventures of this imaginative girl and her fab little bunny companion! Charlotte's best bit: The Thing's diet. 100 hamburgers, plus an apple for the vitamins! LOVE! Daddy's Favourite bit: With the benefit of hindsight I couldn't have got this one more wrong the first time around, it's a brilliant and entertaining romp and Charlotte still loves it as much at 7 as she did at 3! What on EARTH is a Slodge? Crawling out of the undergrowth as this wonderful story opens, we puzzled over this strange but happy little creature but definitely want to tell you all about her! The Slodge is the star of a new tale from storytelling genius Jeanne Willis, and illustrative ubermeister Jenni Desmond. Put two of our favourite picture book talents together and magic happens as the happy carefree Slodge makes her way through the world. Her world. Let's be clear about this. The Slodge is free to explore, to gambol through the undergrowth, to sigh in wonder and amazement as the moon rises and the sun sets, to climb trees and eat their luscious fruit. But one such foraging mission doesn't go according to plan as The Slodge realises that someone else has crashed in on her blissful life. Who is this miscreant? This invader? Who cares - The Slodge definitely does NOT want to share. It takes a moment of peril and danger to make our lovely little squishy green girl that perhaps being alone is fine, but being able to share an amazing world with an equally amazing friend is utterly fabulous. We love the way this book wraps up - with a joyous page spread celebrating the diversity of life and how we truly do take for granted how we share our space in the world with a zillion other amazing creatures. But as we said at the top of the review, The Slodge is definitely the star and we absolutely ADORE her, squishy and green as she is! Daddy's Favourite bit: A lovely little moral tale from two of the most exciting talents working in children's picture books today. Unmissable! We got very excited when we heard that two of our favourite booky folk, Teresa Heapy and Sue Heap, were popping into one of the most awesome bookshops (Blackwells in Oxford) for a very special very little book launch. Blog followers will know that Heapy and Heap's "Very Little Red Riding Hood" was joint Book of the Year last year on the blog. 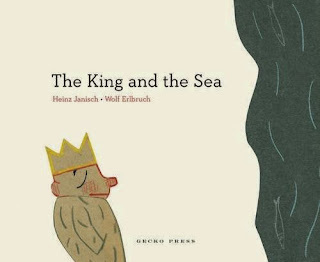 A beautifully tweaked re-telling of a classic fairy tale, told with such an expert eye on toddler observation (and such wonderful illustrations too), we just couldn't get enough of it (and still can't). We arrived early and with typical Daddy observation skills I managed to walk right past that beautiful pink cake and the books. DOH! Thankfully Mummy was on hand to steer me right, and I recognised Teresa proudly hovering near the cake. Couldn't resist cheekily introducing ourselves, and settling in for a reading of "Very Little Cinderella", Hooray! Sue started off by drawing Very Little Cinderella herself, a spirited little toddler with her own wonderful sense of style (and the same hilarious way of talking in the story that completely won us over in "Very Little Red Riding Hood"). Sue gamely managed to draw a perfect pic (despite having to kneel on the floor, owch!) so then it was Teresa's turn to tell the story itself. Don't forget the lello boots! Very Little Cinderella is busy cleaning the house when the Ugly Sisters crash in and inform her that they're off to a party, and The Fairy Godmother will be babysitting for the evening. Very Little Cinderella isn't too happy at being left at home while her sisters are gadding about, so with a little help from the Fairy Godmother, and a blue dress, big blue scooter and a touch of magic she makes it to the party too. But they must be home at midnight! There is dancing, there are friends to be made but all too soon the clock strikes 12 and it's time to go home. Unfortunately, in Very Little Cinderella's rush to run home to bed, she loses her beloved yellow (LELLO, daddy, LELLO!) boot and is completely beside herself. Nothing can console her, but wait a moment, who's that at the (very little) door? 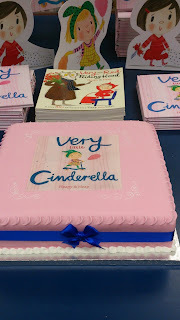 It was utterly wonderful to meet Teresa and Sue, and get our own copy of the book signed (and Charlotte definitely gave that cake a HUGE thumbs up! It looked delicious!) We'll be reviewing "Very Little Cinderella" in full on the blog very soon, but in the meantime Charlotte managed to squeeze a secret out of Teresa who whispered to her that "Very Little Sleeping Beauty" will be making an appearance next in the series, YESSSS! What better way to introduce the very young to astonishingly brilliant non-fiction books than with a title as gorgeous as this. 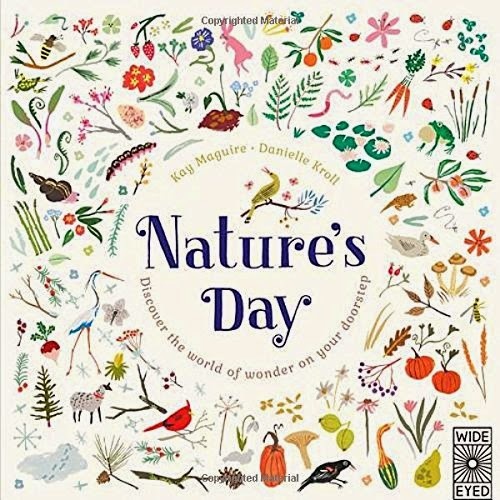 From the moment you see the cover of "Nature's Day" by Kay Maguire and Danielle Kroll, you can't wait to jump in head first - and your little ones will feel the same. Children have a natural curiosity about nature and the world around them and this book really encourages that, right from the word go. Taking children through the four seasons, the many nuances in our weather, the wondrous flora and fauna we can discover in our world from the far-flung reaches of the rainforest right to our very own doorsteps and back gardens, Kay and Danielle are our tour guides on a lyrical journey soaking up everything nature has to offer. Wide Eyed Editions are really developing a knack for brilliance when it comes to non fiction - with these big sturdy hard-backed books designed to be enjoyed sprawled out on the floor, just like the big weighty books I used to lose myself in as a kid. With tons and tons of gorgeously detailed illustrations to pull Charlotte in and grab her attention too, this is a real winner. We're fortunate enough to be included on the fabulous Fat Fox Books Blog Tour for a new author and a new book that's absolutely guaranteed to light your fire. From the moment you spy the gorgeous cover, you're going to fall in love with it! 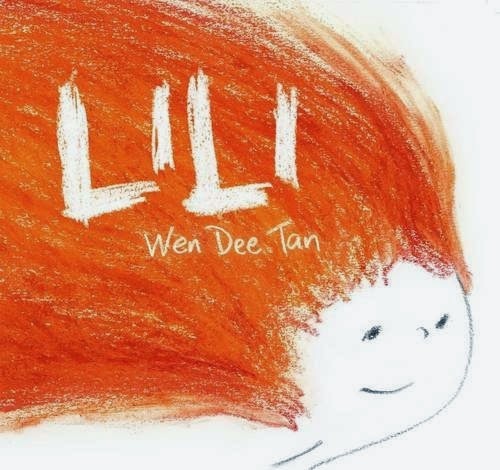 Meet Lili, she's the flame-haired hero of Wen Dee Tan's first book for Fat Fox. Lili's hair isn't just fiery in colour, it's actually fiery in nature too! For a carefree little girl with a ton of joie de vivre this isn't really a problem, but soon Lili discovers that a flame-haired lass can have a pretty tough time of it in the real world. Neighbour's sheets are charred on the washing line, and an innocent game of jump-rope can go horribly awry. Soon, it feels like no one wants Lili or her troublesome tresses around. Lili wanders dejectedly in the woods, and discovers a group of the village children in danger. Can Lili's wonderful hairdo possibly save the day after all? This book has the most endearing hero as its central character, and we rode a rollercoaster ride with Lili as she seems so happy and full of life - but doesn't always fit in. The message tucked neatly betwixt the glorious pages here tells us that everyone is special, everyone has that certain something about them that may turn out to be their saving grace later on in life. We love Lili, what an awesome first book from Wen Dee for Fat Fox! May there be many many more! Charlotte's best bit: Lili unintentionally setting someone's lovely clean washing on fire! Oops! Daddy's Favourite bit: A gorgeous book from start to finish, an endearing central character and a real feel-good message delivered with aplomb. Wonderful, Wen Dee! 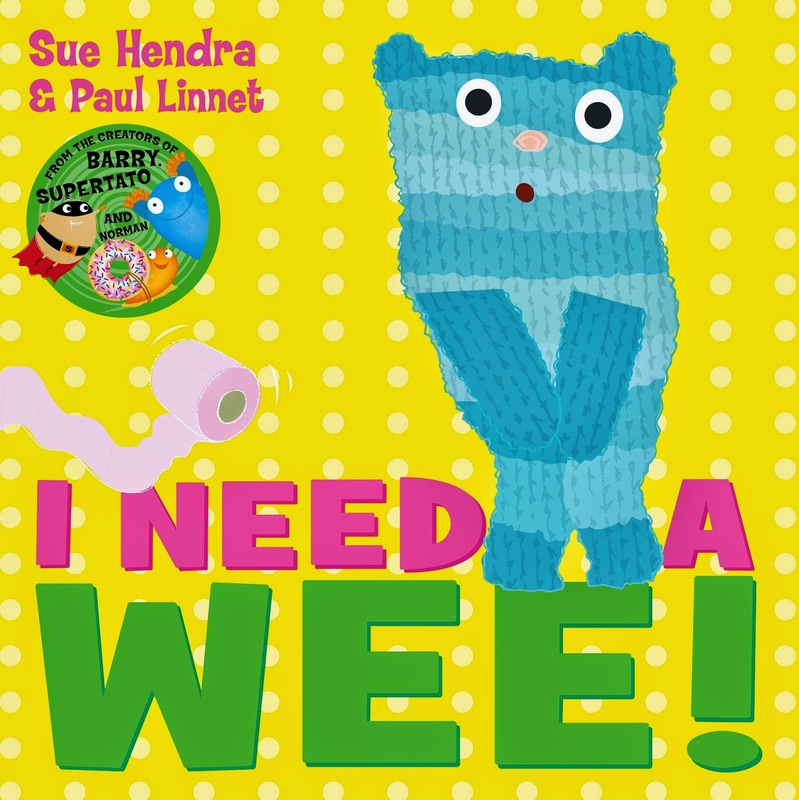 So is it possible for a book that your child loved as a tiny tiddler to still be well received now they're an opinionated and fussy 7 year old? 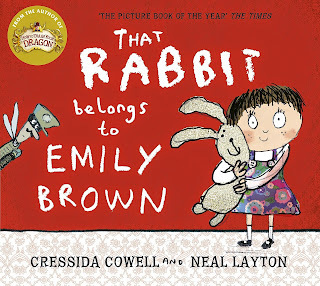 In the case of "That Rabbit Belongs to Emily Brown" the answer is a resounding YESSSS! So why did this book stand the test of time? Well look at the talent behind it for starters. Cressida Cowell, known to millions as the genius behind the "How to Train your Dragon" series which has made the leap to the big and small screens from its book beginnings, writes this absolute cracker. Neal Layton, illustrative genius behind one of our all-time favourite books "Jennifer Jones Won't Leave Me Alone" provides the stunningly appropriate and fantastically scribbly-scrobbly visuals for our story journey. But having top talent to pen a story isn't always the be all and end all. Why then IS this story so utterly perfect for Charlotte? It's because of Emily Brown herself and her wild and vivid imagination. Over the course of "That Rabbit Belongs to Emily Brown", Emily - always accompanied by her old faithful toy rabbit Stanley, embarks on the most incredible adventures often without straying from her own back yard. She treks across the sahara desert on a motorbike, climbs through the rain forests and explores the outer reaches of space. Stanley is the focus for this story, you see avaricious eyes have rather taken a shine to the scruffy old rabbit with his wonky smile. After making several offers of 'swapsies' for Stanley, Queen Gloriana The Third adopts downright sneaky tactics to kidnap Stanley and take him to the palace to live with her instead. Poor Stanley! He does NOT look happy! As you can imagine, Emily Brown is not the sort of girl who is going to stand by and watch her best friend be spirited away, so she decides a trip to the palace is in order. If you've yet to encounter the Emily Brown books, I'm almost envious because you are going to experience the joy of finding an utter booky treasure - and one that is going to stay with you and your children for a very long time to come! Charlotte's best bit: She loves the bit where the sneaky "Queen's Special Commandos" (who are just the army, navy and air force in disguise) sneak in and steal Stanley. How very DARE they!!!! Daddy's Favourite bit: I was so pleased that these were getting a timely reprint. The Emily Brown stories are brilliant, and span such a wide age range (well, in our case at least) that it's a genuine pleasure to revisit them and dust down all my silly voices to read the absolute best of the bunch. A joyous celebration of a child's imagination, and a rather nicely veiled moral lesson on avarice and envy tucked in between the pages too! Wonderful wonderful WONDERFUL!